Discover a fulfilling and supportive lifestyle at PCSC retirement community in Florence, South Carolina. The Florence Presbyterian Community offers a variety of floor plans for patio homes, ranging from a cozy 680 square feet to a generous and airy 1470 square feet of living space for you to spread out and make your space all your own. Enjoy active living in our private homes for seniors in Florence, South Carolina. Patio homes even include private outdoor space where you can enjoy a quiet evening at home with an ice-cold glass of sweet tea on a warm afternoon or a hot cup of coffee brewed fresh in your own kitchen. You can even plant a few pots of flowers or have a mini herb garden on your patio or in your sunroom. 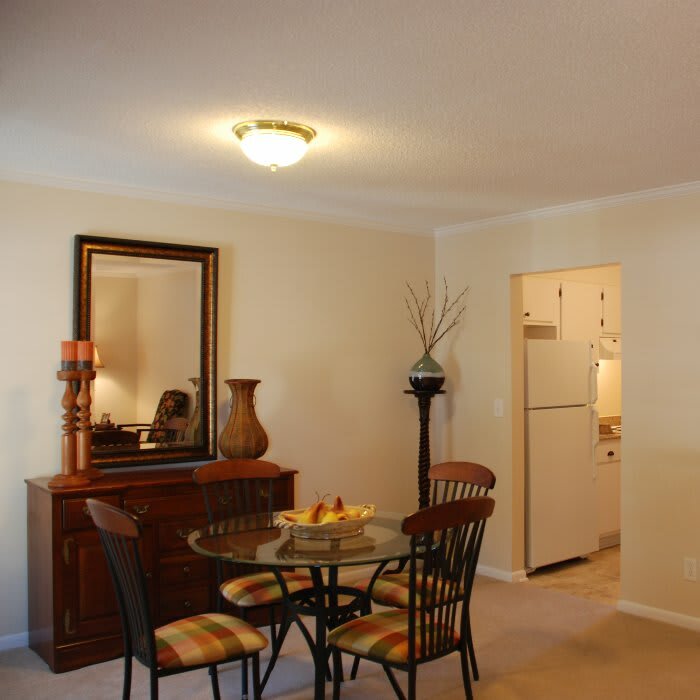 Give us a call today to schedule a personal tour of your favorite floor plans. We are excited to show you around The Florence Presbyterian Community.